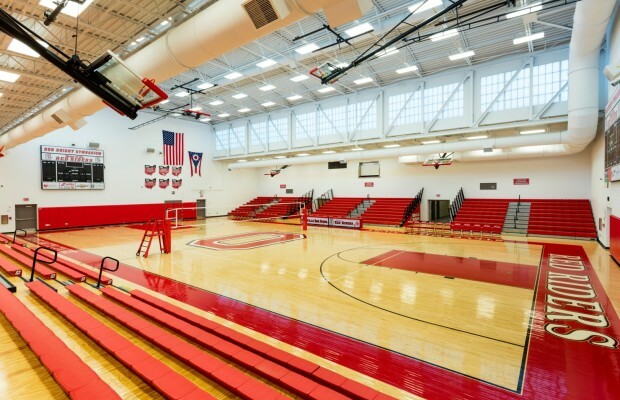 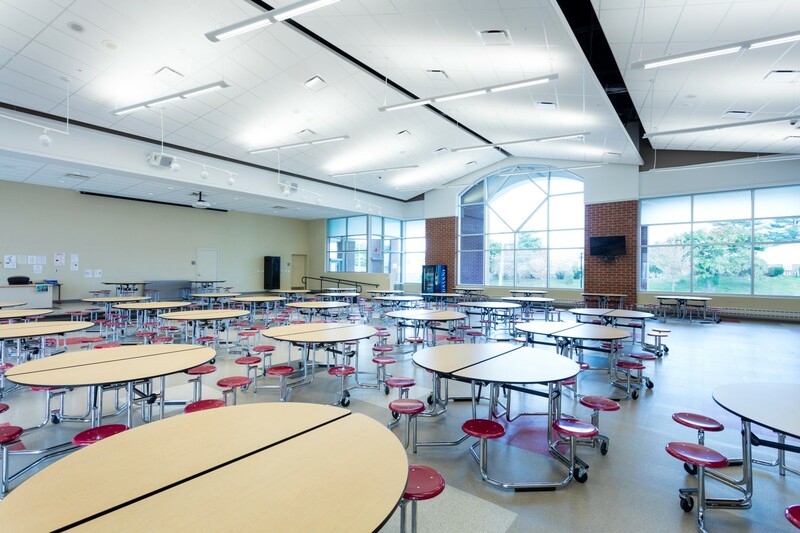 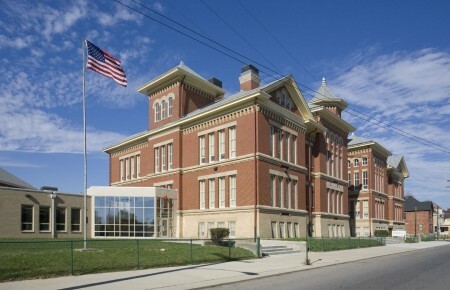 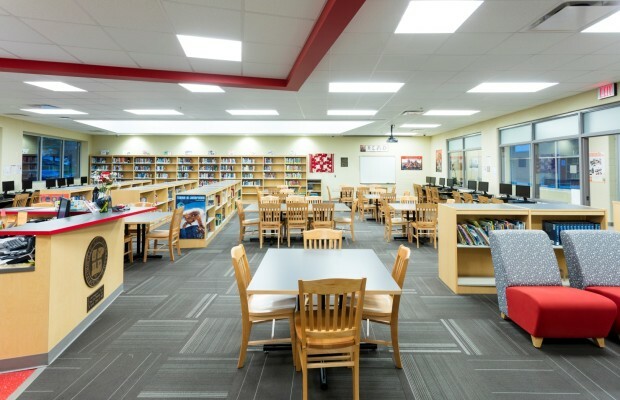 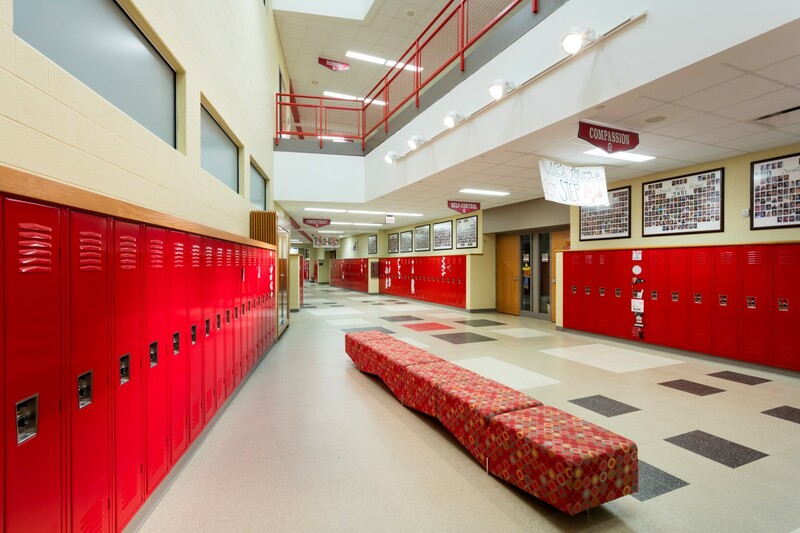 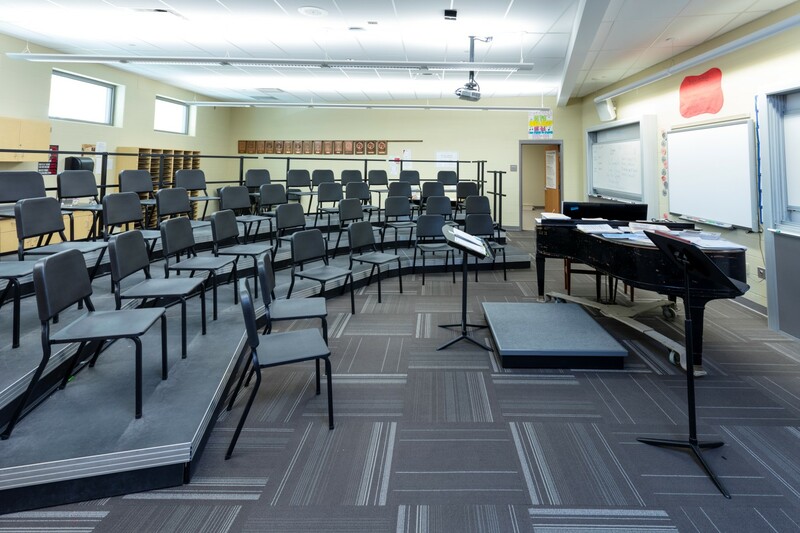 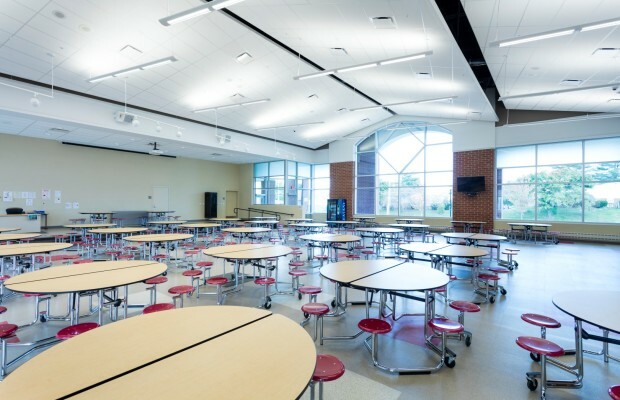 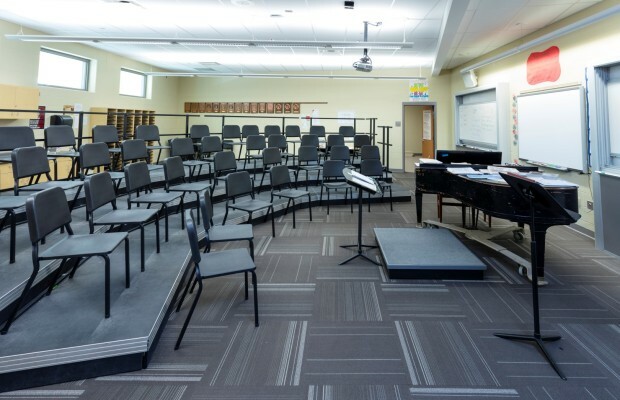 Orrville High School | BSHM Architects, Inc. 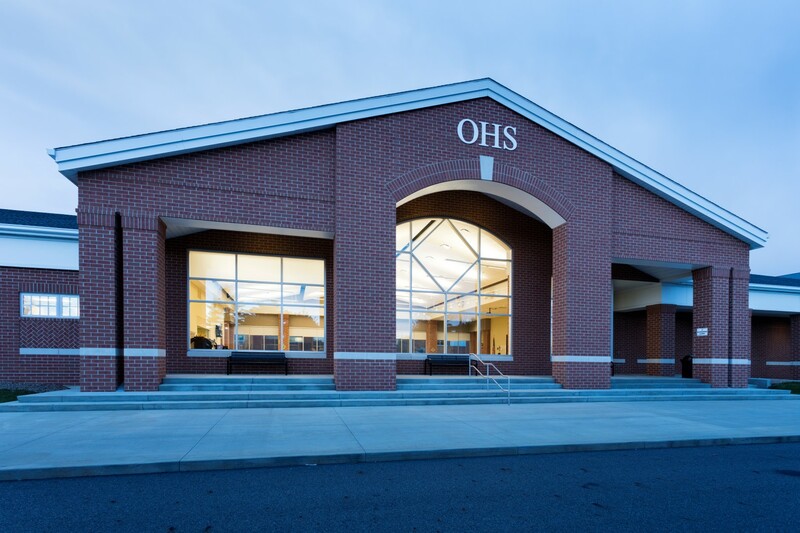 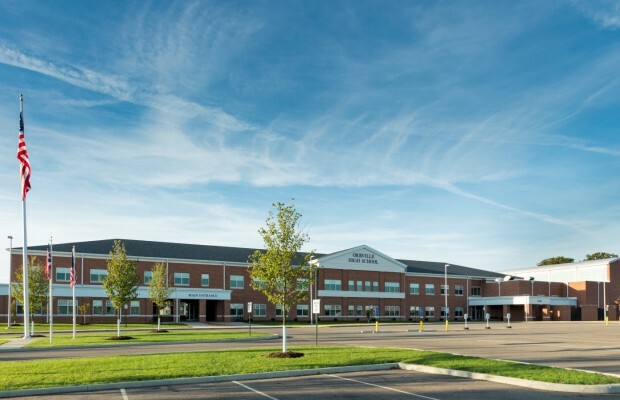 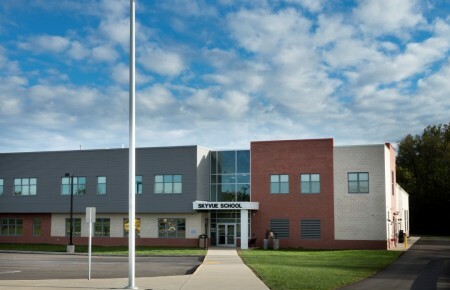 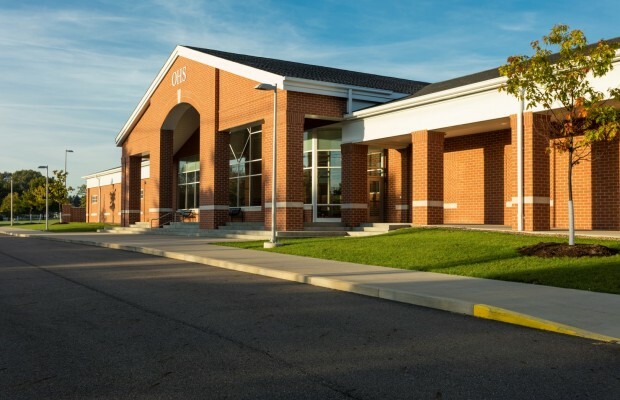 This project is the third building designed for the Orrville City School District and completed their Campus Master Plan. 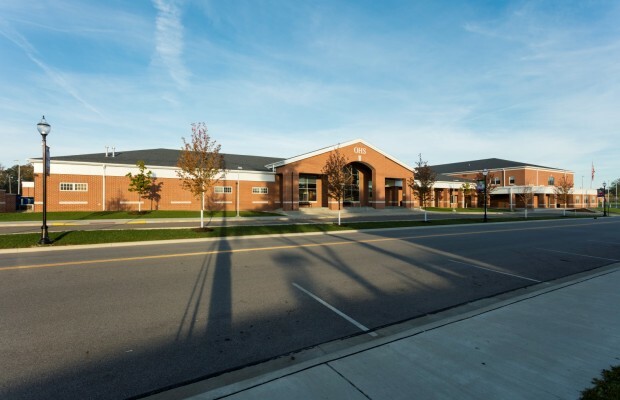 The High School project consists of a new 83,000 SF two story structure built in phases adjacent to the existing high school, which was partially demolished. 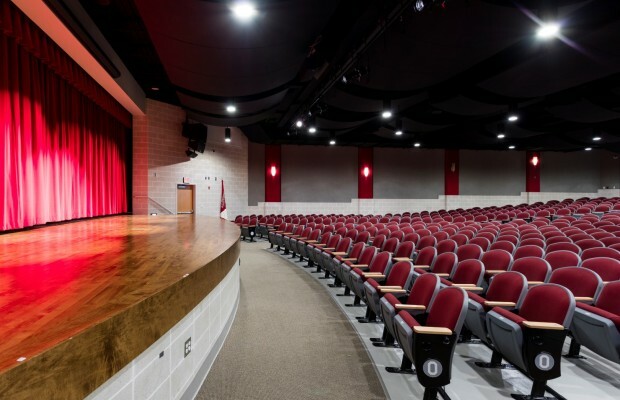 The plan selected by the community retained the Auditorium, Music Areas and Gymnasium of the original high school, and connected them to the new building. 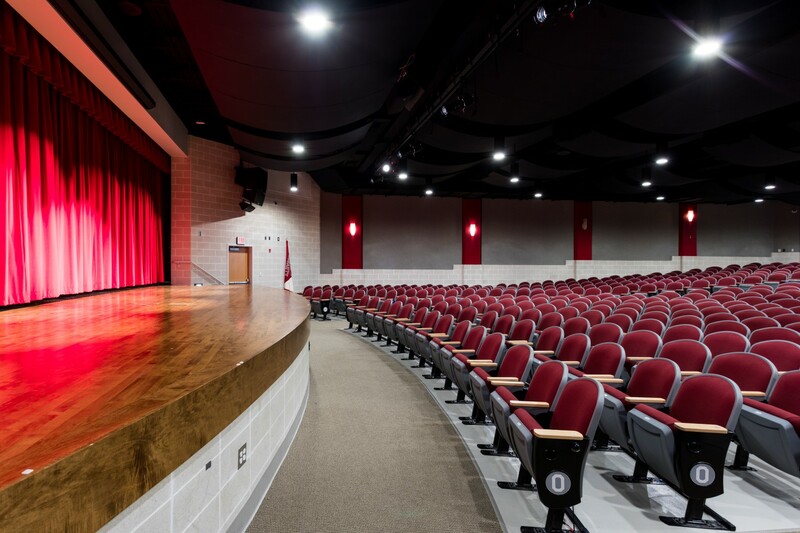 The existing areas were renovated with the Auditorium upgraded to a community theater space. 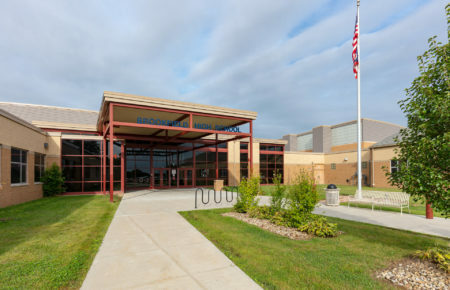 The exterior architecture is a continuation of the designs employed on the Elementary and Middle Schools and incorporated gabled and hip shingled roofs, traditional cornice and belt course details consistent with other major public buildings in the community. 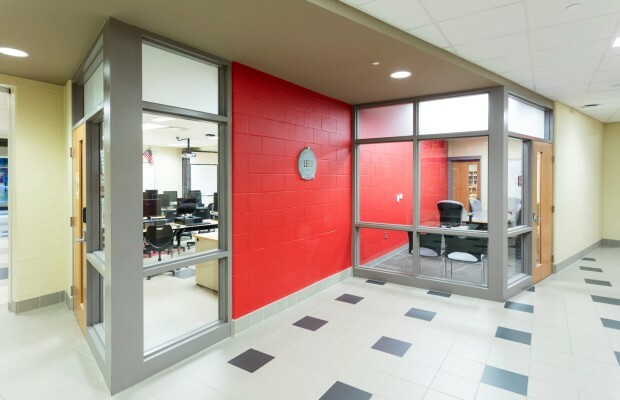 The building achieved a LEED Gold Certification, utilizing a number of sustainable strategies including a hybrid ground source heat pump HVAC system.